Ten Factory has one of the industry's strongest Driveline systems. The TEN Factory chromoly driveshafts come fully assembled and are designed to handle and take abuse both on and off-road. These driveshafts feature 4130 chromoly tubing for strength and durability, with 1310 precision u-joints. Chromoly steel is often used when more strength is required than that of mild carbon steel. Built with the toughest materials, the wear-resistance of chromoly steel is heat-treated to produce enduring driveshafts for your Jeep. This driveshaft is Electronically balanced to the highest tolerances, to provide a vibration free ride. 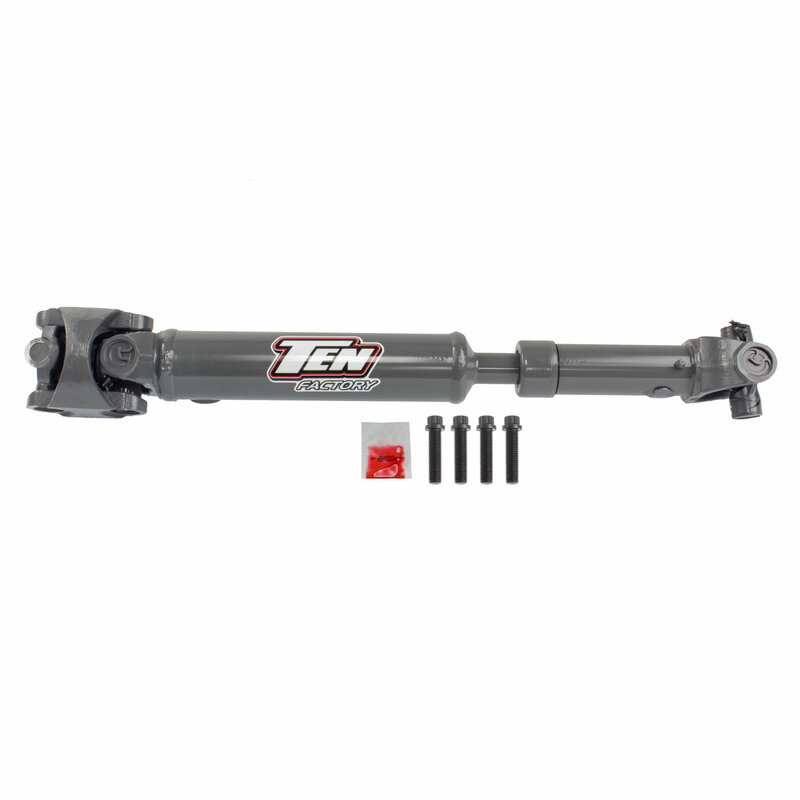 TEN Factory is the brand you can trust for the highest-quality engineered driveshafts. The TEN Factory name comes from their TEN Year Replacement Warranty on their driveshafts. It stands for high quality parts that are well engineered for performance, strength and integrity. Precise Fitment: Fits the 2004-2006 Jeep Wrangler Unlimited LJ Models (TJ Unlimited) with up to 4 inches of Lift without coil over suspension kits and with stock drivetrain.